Everyone’s getting ready for Christmas in Icicle Falls, especially on Candy Cane Lane, where holiday decorating is taken very seriously. Tilda Morrison, town cop, is looking forward to celebrating Christmas in her first house…until she discovers that she’s expected to “keep up” with the neighbors, including Maddy Donaldson, the inspiration behind the whole extravaganza. But this year, someone’s destroying Maddie’s precious candy canes! Thank goodness for the cop in their neighborhood. Tilda already has her hands full trying to sort out her love life and fix up her fixer-upper. Oh, and won’t it be fun to have the family over for Christmas dinner? Not really… Then there’s her neighbor, Ivy Bohn. As a newly single mom, Ivy can sum up the holiday in two words: Bah, humbug. But she’s determined to give her kids a perfect Christmas. Despite family disasters, irritating ex-husbands and kitchen catastrophes, these three women are going to find out that Christmas really is the most wonderful time of the year! • Christmas on Candy Cane Lane is available at Amazon. Sheila Roberts welcomes readers back to Icicle Falls in this entertaining Christmas tale. Fans of the series are sure to enjoy Tilda’s story and the holiday happenings in her new neighborhood. 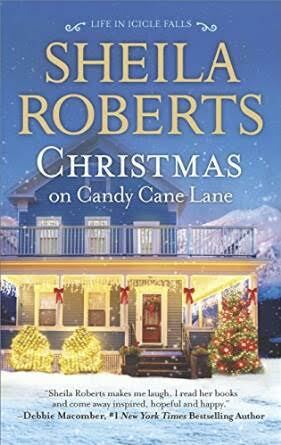 However, if you have not read prior books in the Life in Icicle Falls series, Christmas on Candy Cane Lane easily stands on its own. I love Christmas stories and this one was a fun read! Although holiday decorations abound on Candy Cane Lane, not all is happy and bright for Tilda Morrison, Maddy Donaldson, and Ivy Bohn. When these three women endure various calamities, they discover there is more to Christmas than keeping up with the neighbors. Sheila Roberts writes with humor and heart, and I enjoyed spending time in the charming community of Icicle Falls! 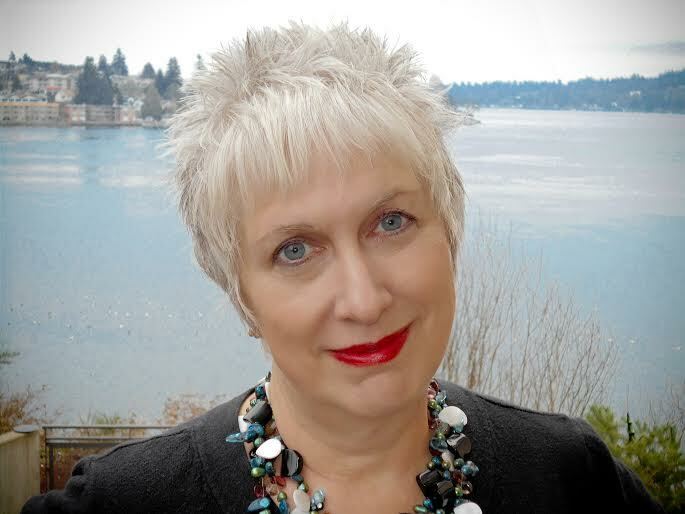 Sheila Roberts lives on a lake in the Pacific Northwest. She’s happily married and has three children. She’s been writing since 1989, but she did lots of things before settling in to her writing career, including owning a singing telegram company and playing in a band. Her band days are over, but she still enjoys writing songs. Sheila’s books are best sellers and often appear as Reader’s Digest Condensed Books. Her novel “Angel Lane” was named one of Amazon’s top ten romances in 2009. Her novel “On Strike for Christmas” was a Lifetime Network movie and her novel “The Nine Lives of Christmas” is now a Hallmark movie, scheduled to air November 8th. • Visit Sheila Roberts’ website. • Connect with Sheila on Facebook and Twitter.